Laelaps jinghaensis sp. 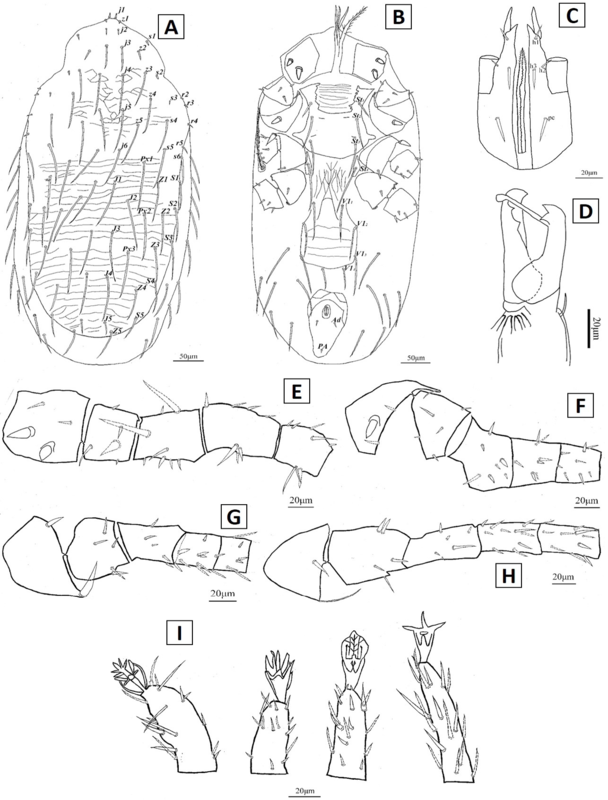 nov.; Adult female: A, dorsal idiosoma; B, ventral idiosoma; C, gnathosoma, ventral aspect; D, chelicera; E, coxa, trochanter, femur, genu and tibia of leg I, ventral view; F, coxa, trochanter, femur, genu and tibia of leg II, ventral view; G, coxa, trochanter, femur, genu and tibia of leg III, ventral view; H, coxa, trochanter, femur, genu and tibia of leg IV, ventral view; I, tarsi of leg I-IV, ventral view. Laelaps jinghaensis sp. 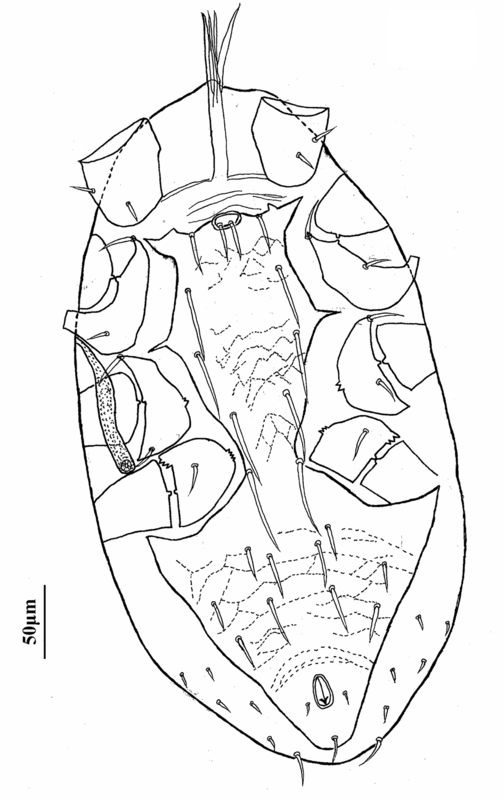 nov., Adult male: ventral idiosoma.